Hi! 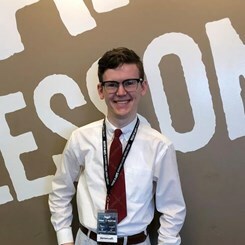 My name is Jeremiah, I started working at Music & Arts in June 2018. My main instrument is the piano, but my specialty is DJ equipment. My favorite genres are Jazz, R&B, and Funk, and my favorite Jazz band is The Dave Brubeck Quartet. My favorite R&B artist is Ray Charles and my favorite Funk artist is James Brown. My hobbies include music, gaming, and swing dancing. I have enjoyed my time here very much, and I look forward to my future with Music & Arts! Stop by anytime and I would be happy to assist you with whatever you need!